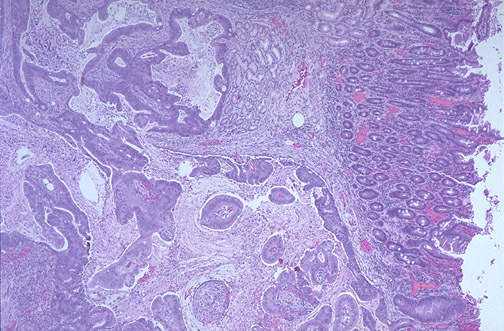 This adenocarcinoma arose in the ampulla of Vater. 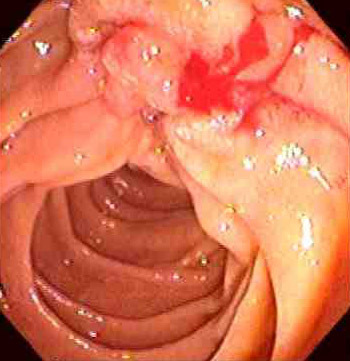 Primary small intestinal carcinomas are very rare, but the majority of those that do occur arise in the region of the ampulla, where they may become symptomatic through biliary or pancreatic duct obstruction. 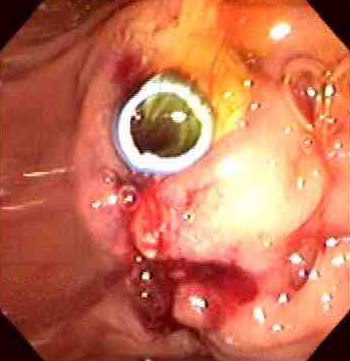 The appearance of such a mass on esophagogastroduodenoscopy is seen below, and following placement of a stent for drainage.